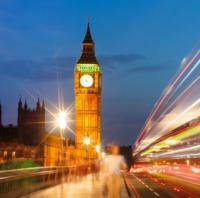 Find Tours, sightseeing tours, activities & things to do in London. Find discounted tickets, events, and many more. Explore the 5,000 years'mystery Surrounding'Stonehenge in a private comfortable air-conditioned vehicle at your pace in the afternoon from any Central London accommodation to Stonehenge which includes the entry tickets and audio guides. Explore the Royal History at Windsor Castle in a private comfortable air-conditioned vehicle at your pace in the afternoon from any Central London accommodation to Windsor Castle. Discover the joy of sightseeing with the London Pass, and enjoy free entry to 60 of its world-class sites like Westminster Abbey and the Tower of London. Save time as you skip the queues with fast-track entry at countless attractions, and take advantage of special offers at quality London restaurants and shops.Even better, why not upgrade and include transport with your London Pass? Choose from a 1-, 2-, 3- or 6- day sightseeing pass with Oyster Travelcard included and see the highlights of England's cosmopolitan capital with ease.Special Offer - Buy one 3-Day Pass (excluding travelcard) to save up to 54% on London admissions, compared to booking attractions separately. There are similar savings to be made on the 1-Day, 2-Day and 6-Day Passes (excluding travelcards)! - Book Now! Venue:'Prince Edward Theatre,'Old Compton Street, London, W1D 4HSRunning Time:'2 hours 30 minutesPerformance dates: Monday - Saturday at 7:30pmPlease note:'6+ for content. Under 3s not admitted. Under 16s cannot sit on their own and must be seated next to an adult. Please note that this policy is followed strictly by the theatre. From ghost hunters to gangsters, suffragettes, swindlers and stars, discover the unexpected story of London's most iconic concert venue during a 1-hour walking tour. Hear backstage stories and gossip from your guide, and find out which singer was so overawed by his first view of the venue that he decided to go horse-riding instead of turning up for his concert. This tour is a shared experience. The maximum is 15'people'per booking and up to 20 people per tour group.Your tour ticket includes a discount on food and drinks. See London on a full-day sightseeing tour of the city, led by a guide. Hear the history of top London attractions like Westminster Abbey and Big Ben, and receive fast-track entry and a guided tour of St Paul's Cathedral. After the sightseeing tour, watch the Changing of the Guard Ceremony at Buckingham Palace and tour the Tower of London. As a bonus, this experience also includes a one-way River Thames sightseeing cruise, which can be used on the day or another time. Upgrade to include a flexible London Eye ticket to be used on any day you wish.